When it comes to climate change, we tend to see the future as distant. We think of the coming generations that will be affected, perhaps in apocalyptic ways. What we often neglect to consider is the impact that climate change is having on our planet and on the health of people today. For example, heat waves in Europe in 2003 caused at least 30,000 premature deaths. Severe droughts in South Asia, Australia and Africa have resulted in crop failures, infrastructure damage and consequential migration of climate refugees. Of particular relevance to those of us living in Nova Scotia is the impact that climate change is having on Lyme disease. Lyme disease is caused by bacteria that live in the gut of the deer tick. When the tick attaches to the skin of a mammal to feed on its blood, there is a chance those bacteria could enter the bloodstream of the host. However, it is unlikely that Lyme disease will be acquired if the tick is attached for fewer than 36 hours. In early Lyme disease, a person may experience a rash and flu-like symptoms. The joints, nervous system and heart may be affected later in the course of the disease. It’s relatively new to Nova Scotia. The first case of Lyme disease was reported in 2002. But the deer tick population in Nova Scotia is increasing, and not surprisingly, the number of cases of Lyme disease is also on the rise. From 2002 to 2012, there were 171 cases of Lyme disease in this province. In 2014, there were 171 cases, and in 2015 there was a total of 254 cases. Nova Scotia now has the highest per-capita ratio of Lyme disease in Canada. In our province, there are six high-risk regions where deer ticks carry the Lyme disease-causing bacteria. These include the Halifax Regional Municipality as well as the counties of Yarmouth, Shelburne, Lunenburg, Pictou and Queens. Recent research has shown that the warming climate is a major contributor to the expanding population of deer ticks in both range and number. In other words, the warmer the climate, the more the ticks will thrive. A 2017 study, led by graduate students and researchers at St. Francis Xavier University, described the impact that climate change is expected to have on tick populations in different parts of Canada, including Nova Scotia. 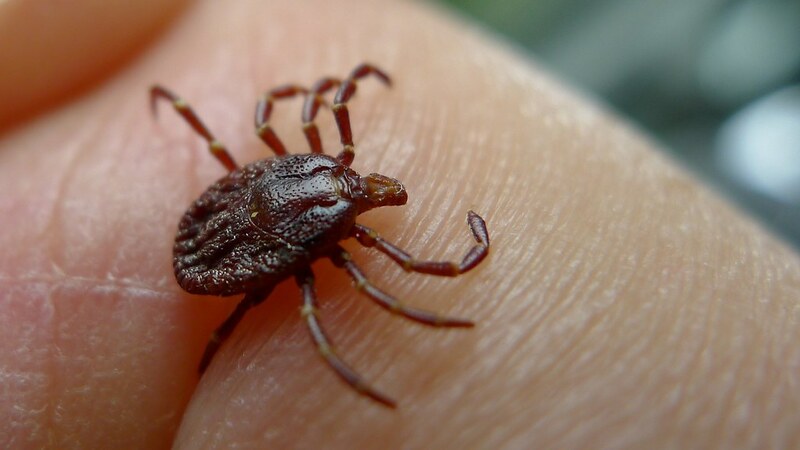 By looking at the link between climate change and tick populations of the past, the researchers were able to estimate what the tick populations and distributions may look like in the future, under several different climate change scenarios. First, they calculated what might happen to the tick population if the climate targets of the Paris Agreement are met (i.e., if the world warms by less than two degrees Celsius above pre-industrial levels in the next century). Then they estimated what could happen if little to no measures are taken to reduce greenhouse gas emissions. They found that even with the most optimistic estimates, the geographic range of the tick will include all of Nova Scotia and the number of the deer ticks will also increase. Though the results of the study are reason for concern, the information gives us the chance to prepare for the increased rates of Lyme disease in Nova Scotia. Because there is no human vaccine for Lyme disease currently available (though efforts are being made in its development), it is crucial to focus on prevention. When spending time outdoors, especially in long grassy areas, bushes or the woods, wear long-sleeved clothing to prevent the ticks from attaching. After being outside, check yourself and one another for ticks. If you know that a tick has attached to you, especially if you think it’s been attached for more than 36 hours, or if you notice a rash after being outside, seek medical attention. Here are a few different scenarios about what to do if a tick bite is suspected. Case 1: A 50-year-old man was hiking one morning in July in Pictou County. He hadn’t spent much time outdoors up until that day. While standing in line for coffee, he noticed a tick on his ankle and went to see his family doctor that afternoon. The doctor examined him and there was no rash. The man had no other symptoms. The tick was still attached, so the doctor removed it with a forceps, careful not to leave bits of the tick inside. No. It is unlikely that the transmission of Lyme disease will occur before 36 hours of attachment. It is important that antibiotics are not used unless necessary, to help prevent bacteria from becoming resistant to them. Case 2: A 40-year-old woman was on a weekend camping trip in Lunenburg County. A few days after she got home, she noticed a tick on her leg. The bug was engorged and she took it off with tweezers. She also noticed a red rash in the shape of a bull’s-eye and visited a local walk-in clinic to be assessed. Yes. This woman had spent time outdoors in a high-risk area. She had the classic rash that may be seen in early stages of Lyme disease. Since she was hiking for a few days, and the tick was engorged, it was probably attached for some time. She should be treated with a course of antibiotics. Since she was hiking so recently, the blood test would not be helpful because it takes about four weeks for evidence of Lyme disease to show up in the blood. In fact, there is no need to test at all in this case since the diagnosis has already been established. Case 3: A man who worked as a groundskeeper at a park in Halifax was having joint pain and swelling for a couple of months. Then one side of his face began to droop. He went to the hospital because he thought it could be a stroke, but no evidence of a stroke was found. When asked, he said that he frequently wore shorts and short-sleeved shirts while working outside. Should he be tested for Lyme disease? Yes. Arthritis and facial droop are late signs of Lyme disease. If there is no other obvious diagnosis, the doctors should send his blood to be tested for Lyme disease. If the tests are negative, the doctors should look for other causes explaining his symptoms.